Now that you have registered for the School Enterprise Challenge, you are ready to start Stage 1 of the competition! In Stage 1 you have 4 weeks to come up with a business idea for your school based enterprise and we are here to help you along the way! Every week you will receive a weekly competition guide which will walk you through our Business Idea Template. At the end of 4 weeks, you will be ready to submit your completed template and fantastic business idea to us! Lets have a look at what you need to do in Stage 1…. Take a few minutes to consider what the words ‘school enterprise’ mean to you. What are the benefits of participating in the School Enterprise competition? What skills would you like to gain from the experience? 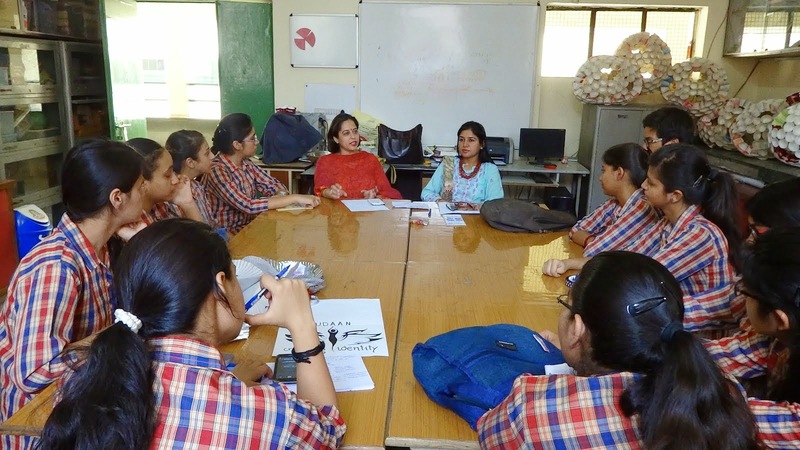 Students at Kulachi Hansraj Model School, India, discuss their resources and initial business ideas. This step considers the kind of resources your school has available and how they can be maximized for profit. Set aside 10 minutes to identify the kinds of natural or physical resources you have (is it water? land? an unused classroom?). This step is important so that start-up costs are kept as low as possible. You can then use your completed resource assessment to start brainstorming business ideas! A feasibility study is simply a formal consideration of whether your business idea is realistic given your time, energy and resources. Questions you will have to ask are: Is the product easy to store and transport? If it’s a service, who would be involved in providing it? This step will determine which one of your business is more likely to succeed. Start-up capital is basically the minimum amount of money required to start your business. If your business requires materials or services that are not freely available and that you will need to pay for, then you have a start-up cost to meet before running your business. Meeting these costs can be done by holding fundraising events, requesting donations or investments, or selling other resources that are already available in your school. After completing steps 1-4, you simply need to submit your Business Idea to our team. We read EVERY business idea we receive and then we’ll move you on to Stage 2 where you will learn how to write a Business and Financial Plan! So, there you have it! Stage 1 explained. Easy, right?! Get started NOW and share your experience with us by commenting below. We love hearing from you! This entry was posted in Uncategorized on July 29, 2014 by School Enterprise Challenge.